Having a hard time trying to find a cool gift to give to your girlfriend this Christmas? 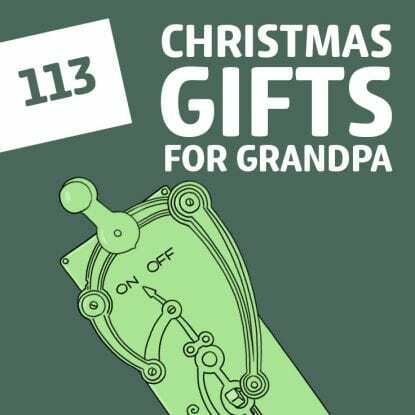 This extensive list will definitely have something for the glamorous, the geeky, and the gamer girlfriend, and with 2018 Christmas gift ideas to suit every budget we’ve done all the hard work for you. Give your girlfriend her own style advisor this Christmas with the Echo Look. Girls can try on their outfits, and with a simple voice command take full length photos from any angle. Then Alexa will let her know which outfit’s a ‘go’ and which one’s a ‘no’. Also comes with Alexa’s other great features. If a little reality is what’s needed in your relationship, this Oculus Rift + Touch Virtual Reality System will do the job. 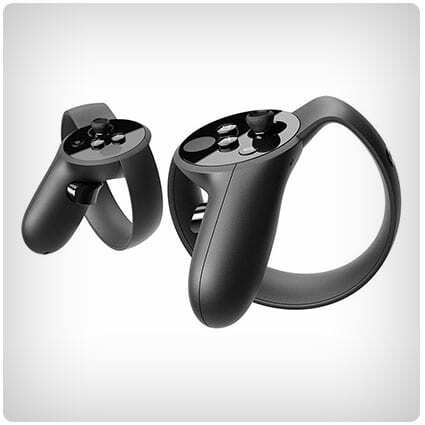 Comes complete with six free games, so your girlfriend can get right in on the action, while the touch controllers meld her own hands to her VR ones. When Marilyn Monroe said ‘Give a girl the right shoes and she can conquer the world’ she must have been talking about these NIKE Women’s Juvenate Sneakers. The epitome of comfort and style, these casual shoes come in so many different colors that your girlfriend could match every outfit to her footwear! 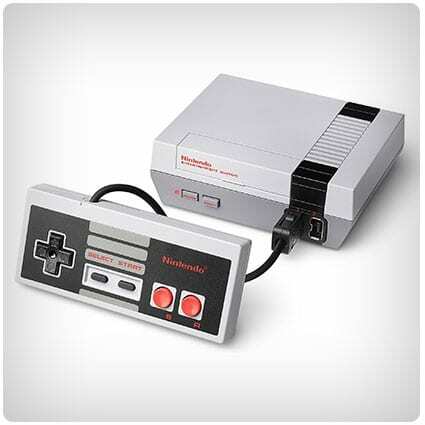 Bring out the gaming geek in your girlfriend this Christmas with the NES Classic Edition. This retro-inspired console comes preloaded with 30 games, such as Donkey Kong, Super Mario Bros, and PAC-MAN, for some old school action. It’s the only shade of grey your girlfriend will ever need. When your girlfriend is feeling ‘ruff’, all she needs is a comfy tee, yoga pants, and you. Make her feel better by giving her one of these oh so cute super soft t-shirts with her best friend on the front – her dog, not you! Go on, give her the gift of comfort this Christmas. Educate the world on what an amazing girlfriend looks like by slipping one of these t-shirts under the tree. Available in a variety of colors, this tee will quickly become one of her favorites for its comfort and style. It’s definitely a t-shirt that gets the thumbs up. Beanies are great for bad hair days, but even the most coiffed hair can be improved with Princess Leia’s buns! This official Star Wars knitted hat comes with the movie logo and Leia’s famous hairstyle attached, and is fleece-lined for keeping your princess warm. Far, far away the best gift you could give. Give your dog-loving girlfriend the gift of peace of mind when she has to leave her pet pooch alone. The Furbo Dog Camera has a camera (with night vision) so she can check in on her furry housemate, and can be programmed to throw treats via the iOS/Android app. Compatible with Alexa. These handy little coin purses make an ideal Christmas stocking stuffer for girlfriends. Available in a wide range of cute designs, these tiny pouches are just big enough to hold a credit card or loose change, without taking up room in a pocket or purse. Picture this: Christmas morning, with your snap-happy girlfriend unwrapping the best gift of her life. This Fujifilm X-T2 Mirrorless Digital Camera (body only) is what every serious photographer needs, whether novice or professional. With outstanding image quality, improved color, and better color, she’ll be so happy she’ll want to ‘shoot’ you. This gift will be a Mid-Winter Night’s Dream for any Shakespeare-loving girlfriend this Christmas. The gold foil printing is simple and elegant, and will look beautiful framed on her bedroom wall. It comes unframed but don’t feel ‘bard’ – that just means you can buy a frame to match her décor. Do you have an artist in your life (and in your heart) who deserves the very best? Whether your art-loving girlfriend likes to draw anime or architecture, manga or landscapes, these ultra-blendable pens are alcohol-based, so blend on the page for beautiful art she (and you) can be proud of. Too hot to handle! Cool your lady down with this Sriracha Water Bottle, a replica of the much loved hot sauce which will make people think she’s lost her mind as she takes a swig. Whether at the gym, at school, or just walking down the street, your girlfriend will definitely turn heads drinking from this. Buy these fashion sneakers from Puma for your girlfriend this year and you will have to per-suede her to take them off as they are so comfortable! In a range of pretty colors, the soft suede uppers and rib-knit collars will ensure these are her go-to shoes for everyday wear. If music be the food of love, play on. 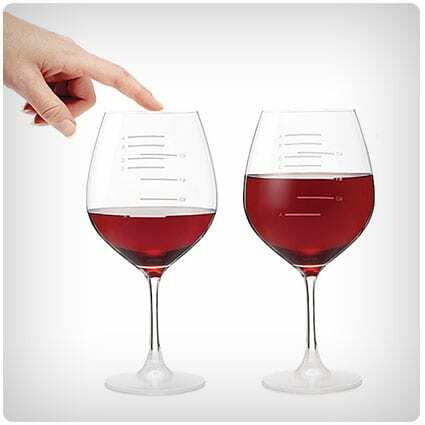 Give a music-loving maestro this unusual set of wine glasses which each play a different note when a finger is run around the rim. Great fun for dinner parties or impromptu drinks, this is definitely a ‘glass half full’ kind of gift. Shoot your way to the top of her list with this awesome Sony a7R II Full-Frame Mirrorless Interchangeable Lens Camera, (Body Only), which is a must for any amateur or professional photographer. Lightweight and compact, this camera body is compatible with Sony Full Frame E Mount Lenses. “Oh ‘cone’ all ye faithful” will be the Christmas carol of 2017 with these adorable ice cream cone socks. The waffle feet are topped off with swirly whirly ice cream, and just the right amount of sprinkles to keep your girlfriend’s feet sweet and feeling cool this yule. If you’re looking for a gift that keeps on giving, BirchBox is for you. For just $10 per month the lucky recipient will receive a box filled with five prestige and niche makeup and beauty samples, based on their own personalized profile, every month. It’s definitely thinking inside the box. Give a gift that’s da bomb, with this set of six luxurious bath bombs. Epsom and Dead Sea salts detox the body, Cocoa and Shea butter soften even problem skin types, and with scents such as ginger and lime, peppermint, and green tea, this is one set that will be fizzically hard to beat. Mix up your gift giving this Christmas with this awesome mixologie set from Uncommon Goods. Perfumes are built in layers, or notes, and this set comes with eight rollerball fragrances and seven prompt cards detailing how to layer your perfume to suit your mood. Go on, you know it’s makes scents. This is a great gift if you need to ‘patch up’ your relationship this Christmas. The iron-on patch features an adorable (who would have though it?) ‘Jason’ French Fries box, chasing a horror-fied potato which is running for its life, because if Jason catches up it will be s-mashed to pieces. Alexa can now show and not just tell. The Echo Show lets you watch videos, read music lyrics, and view security camera footage and photos, as well as all the other tasks that Alexa is so good at, such as making calls, telling you the weather, and reading you a bedtime story. If you want something doing, Do It Yourself – it’s every modern gal’s mantra. And now she can, without having to waste time searching for everything she needs. This handy drill holster is designed to hold most T-handle drills, while the various pockets and sleeves will keep all those other ‘bits’ close by. Switch things up with this awesome gift for your girlfriend (which of course you can use too!) The Nintendo Switch is a dual-console, meaning it can be played at home by connecting to the TV, or on the go as a hand-held system. For single and multi-player action this Christmas. This. Is. Gorgeous! Candlelight is always beautiful, but this holder takes it to a whole other level! Simply place a lit tea light inside the glass holder and watch as a myriad of rainbows dance across the room, creating a spellbinding and magical atmosphere. This fab Sony camera packs a lot of punch into a small package! The Alpha a-6000 comes with a 16-50mm power zoom lens for both high-res stills and HD movies for capturing those special times the two of you will have together. For the novice and professional photographer alike. If these necklaces were a movie, they would paper-view! 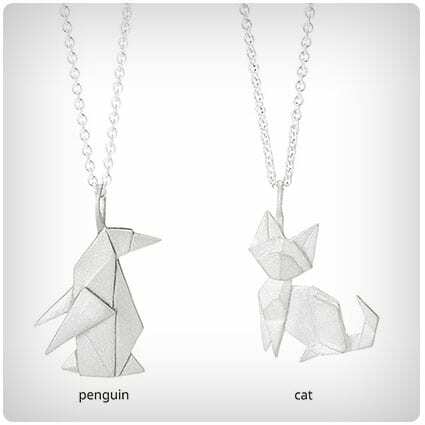 The delicacy of origami combines with the permanence and beauty of sterling silver to produce these stunning pendants which are available in a penguin, cat, elephant, dog or fox, complete with an 18” chain. A beautiful gift for a beautiful girlfriend. This is a gift that really ‘lens’ itself to quality! A replica of the Canon Lens Model EF 24-105mm f / 4L IS USM, this travel thermos will hold up to 11oz of either hot or cold drinks with the lid on, or to slay that extra thirst up to 13.5oz with the lid off. Pimp a MacBook to the ‘Macs’ with a hard case cover in pink and blue. The perfect cover for any girl’s MacBook, the clean lines and ombre-effect triangles on this matte case will turn an ordinary Mac into an extraordinary one. A fitting gift for your digital darling. Chih-wow-wa! These t-shirts make ideal gifts for girlfriends who like to dress down while still looking cute, and what could be cuter than a dog on wheels? Whether you choose a pug on a scooter or a Husky on a bike, these are doggone delectable Christmas gifts. If your girlfriend isn’t a morning person, perhaps this will help? The Philips Wake-up Light alarm clock combines a light therapy lamp with a gentle ‘sunrise’ alarm for waking up the way nature intended, and it can also be used as a reading lamp for those ‘un-put-down-able’ novels. It’s what morning were made for. “Wherefore ‘art’ though, Romeo?” If you want to give a great gift to your art-loving Juliet this Christmas, look no further than this 80-piece deluxe set from Darice. For everything from watercolors to pencils and oils, this kit is a must for budding Picassos everywhere. These soaper gifts are almost too good to use, and will look (and smell) just as lovely sitting in a pretty dish as they do on the side of the tub. Inspired by the twelve birthstones, these beautiful soaps are hand carved using only natural ingredients such as Vitamin E, Glycerine and essential oils. Get five times the flavor in just one roasting with this twig inspired skewer which holds up to five delicious marshmallows at once. Whether for S’mores, hot chocolate, or just because you really like to eat all that squishy deliciousness, this is definitely an Uncommon Goods item you’ll want to get while it’s hot. You wooden believe how awesome these notebooks are! Each pack comes with three memo books, each containing 48 pages of graph paper, all enclosed in unique cherry wood covers which are both flexible and strong at the same time. 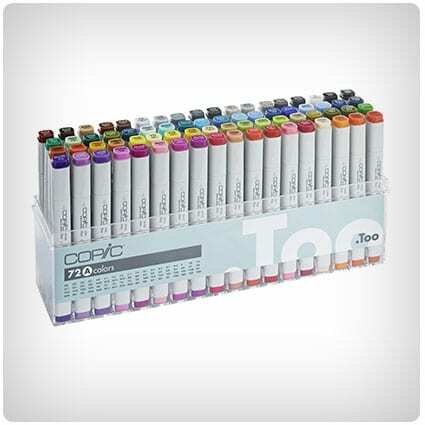 Perfect stocking fillers for girlfriends who love to doodle. These wine pearls are probably the coolest gift you could give to anyone who enjoys their wine (or any drink come to that) cold but not diluted. Ice melts, and who wants watered down drinks? With Wine Pearls, the more you use the cooler the drink, without losing any of the strength or flavor. Cheers! Silicone Beer Savers make great stocking stuffers for those who like to have a beer but can’t drink it all in one go. The flexible bottle caps fit snugly on the opening, keeping booze fresh and not flat, and come in a pack of six different colors. A great gift for your best bud. Show your girlfriend how much you care for her and the planet with this fitting gift for the eco-conscious lady in your life. Each bangle is hand made from recycled materials and features an initial pendant of your choice along with three Alex and Ani charms, and is adjustable for the perfect fit. This book may not be able to teach you how to eat like Kings, but how about eating like Wizards, Time Lords, and Hobbits? A feast of fictional foody recipes from all your favorite characters, this book will help you recreate the tipples and treats from the big and the small screen. Show your girlfriend what an angel she really is by slipping one of these beautiful t-shirts under the tree this Christmas. This cotton tee is soft and loose fitting, and features a pair of Heavenly wings on the back. It’s a beautiful gift that is sure to ruffle a few feathers! A gift that is fizzically awesome, the Waytap Beer Dispenser takes bottled or canned beer and turns it into draught quality. Using pressure and soundwaves, the dispenser takes the beer’s natural bubbles and transforms them into micro foam for an all-round smoother taste. Uses only batteries, and is compatible with 12oz bottles and 12-25oz cans. Is your girlfriend a Jill of all Trades? If she likes to fix things up but her toolkit won’t fit in her purse, this utility necklace was made for her! This stunning piece of jewelry comprises a bottle and box opener, two screwdrivers, and a set of hex keys for those DIY jobs around the house. Christmas is a busy time, and moms, wives and girlfriends often take on the bulk of the workload to ensure the perfect Christmas. Show her how much you appreciate her by giving her this gorgeous set of six bath bombs, each one designed to help her find her inner Zen. “Shake shake shake ” will be the song du jour when your girlfriend is using this cocktail set, whether for a party or just cocktail hour for two. Set includes everything she will need (apart from the ingredients) to make delicious concoctions, whether they are cocktails or mocktails. Chin chin, everyone. 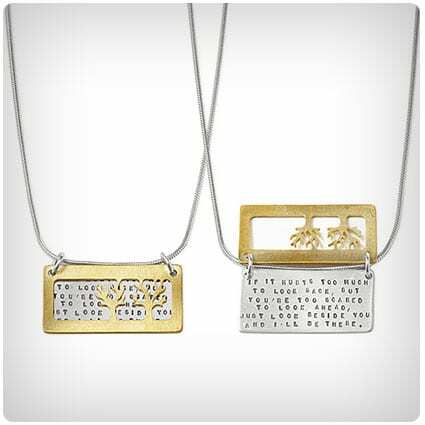 The beautiful sentiments on this necklace make this the ideal gift for any special lady as a reminder that you are always there to walk beside her. With a plaque engraved with the words, and a hinged cover of two cut-out trees to overlay, this is a delightful and thoughtful gift for someone you love. For gym bunnies everywhere, this Sweet Sweat Waist Trimmer is a must-have gift this Christmas. This trimming belt fits snugly around the midriff to increase the core temperature to improve activity and encourage sweating during exercise, which in turn means more water-weight, and therefore inches, are lost. We all have one favorite station that we always defer to, which is what makes this Mason Jar radio so useful! It’s pre-set to your fave station and just one turn of the knob gets you there. And when your loyalties change, just a few simple steps will get you hooked up with your new favorite. Alexa just got street smart! This Garmin Speak unit works through your car’s audio system, giving state of the art GPS navigation to ensure you get home safe and sound. And on the way, simply ask Alexa to turn the heating on so the house is warm when you get there. What a gift! Show your girlfriend that you CAN remember her birthday by giving her a birth month flower necklace. Each one is handmade and contains a real pressed flower bud, encased in resin and hung on an 18” sterling silver chain to keep it close to her heart. Blooming gorgeous. This beautiful pendant is a miniature working kaleidoscope, reminiscent of heady childhood days. The sterling silver housing reveals a myriad of stunning colors and snowflake patterns, made by the light hitting the tiny shards of recycled and sea glass within, and hangs on a 24” sterling silver chain. A truly beautiful gift for your special girlfriend. Hey grillfriend, s’up? This grill cleaner is a safe alternative to those loose bristle varieties that disintegrate into your food or cut your finger as you use them. Each of the two continuous springs adjust to navigate any grill, and remove food and debris without danger of contamination. A useful gift for the bbq aficionado. Making an unusual gift to celebrate an anniversary or wedding, this wooden chopping board from Uncommon Goods features up to 12 hand carved characters of your choice along the top edge. Crafted from richly grained maple, it will take pride of place in any kitchen, and the recipient will never get ‘board’ of using it. Sometimes a gift comes along that will last a lifetime. 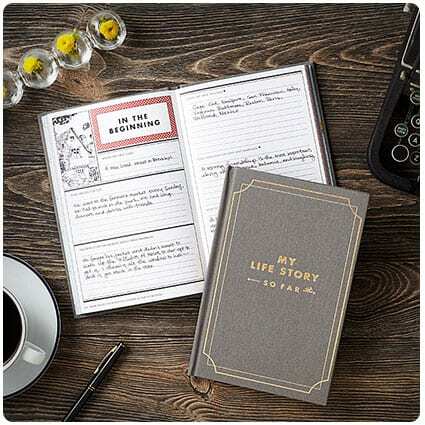 My Life Story – So Far is a beautiful cloth bound journal full of prompts to fill in, documenting those important moments in your life. A beautiful gift for any girlfriend who loves the idea of leaving a gift for children and grandchildren to treasure. Don’t leave your girlfriend in the shade when it comes to Christmas gifts. These beautiful rose-gold sunglasses will put her firmly in the spotlight, in style and looking cool, even on the sunniest of days. Lightweight frames make them super comfortable to wear, while the rose gold is the hottest color around. Home grown tomatoes taste the best, so give your girl a bite at the cherry-tom with this windowsill self-watering tomato planter. The special unglazed jar, or ‘olla’, in this kit releases just the right amount of water to keep the soil damp, providing optimum conditions for tomatoes to grow. If you know someone who is always dropping their iPhone 6, give them the gift of an intact phone by slipping this case into their Christmas stocking. Water, snow, and shock-proof, this case is an ideal gift for girlfriends who are attached to their iPhones, but whose iPhones are not attached to them. Are you ‘Awair’ of what’s in the air you breathe? Now you can be, with the Awair Air Quality Monitor, which measures dust, chemicals, CO2, humidity, and temperature to give you optimum results for healthier air, which is important for sleep, immunity, mood, and respiratory health. Connects with Nest, Alexa, and IFTTT. Be her Prince Charming this Christmas with a slipper for a glass, rather than a glass slipper. These diva-esque shoes attach to wine glasses using powerful magnets, and come in sets of six, each depicting a different killer heel. Your girlfriend will be the life and ‘sole’ of the party when she finds these in her stocking. Your girlfriend won’t need any console-ing when she unwraps this gift! The XBox One X is the most powerful gaming system in the world, with 40% more power than any other console. Your gaming geek will be able to play all her old XBox games on this little beauty, but with much better quality. This is a great gift for anyone this Christmas! One special place devoted to keeping all your essential items together, right where you can find them. The Catchall stand has slots and grooves for holding phones, spectacles, sunglasses, jewelry, headphones…you name it, the Catchall can hold it. There’s even a slot for charging! 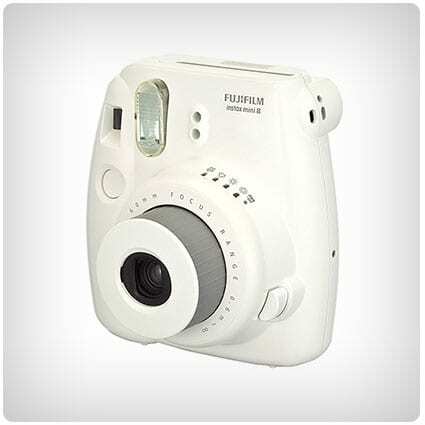 Buy this camera for yourself-ie or for your girlfriend, and capture those special moments instantly. This clever little camera will determine the optimum lighting setting, and the built-in flash is perfect for low-light situations. Best of all, no waiting, as the Fujifilm Instax produces credit card sized prints straightaway. A unique towel for a unique girlfriend! “I don’t sweat, I sparkle” is a multi-purpose towel for the girl who rarely sweats the small (or the big) stuff, but when she does she sparkles like a Unicorn, whether using in the gym, the kitchen, or the bathroom. Your girlfriend will never have a bard cup of coffee again, in this Shakespeare mug that puts the Lit in Literature. Maybe she won’t have coffee, maybe she ‘Will’ have tea or cocoa instead, but one thing’s for sure. She’ll never Ham-let you drink from it! The Airmega lights the way to understanding the air quality in your home. The LED ring shows you if the air is healthy or not, and in Smart Mode the unit detects night-time and dims its lights and quiets its fan accordingly. Compatible with iOS, Android, and Alexa. A gift to take their breath away. Bring a corgi to heel with this adorable gift for the dog loving lady in your life! The playful pups appear all over the sock, and the gorgeous blue makes them eye-catching and cheerful. A great sock for a Christmas stocking, in fact they’re so good maybe you could give toe pairs instead of one. This teeny camera really is thinking outside the box! 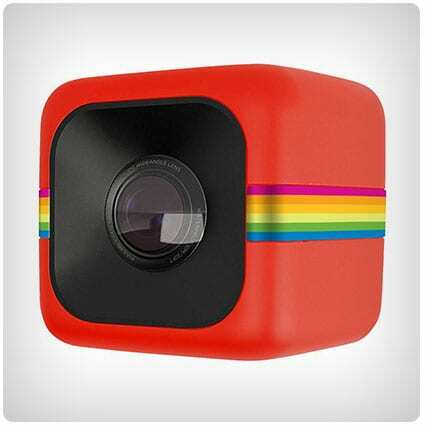 It may be cute but don’t be fooled, this camera will capture all the action, whether in stills or video. The powerful magnets mean it will stay put on any metal surface for on-the-go filming, while the 124 degree wide-angle lens really gives the bigger picture. 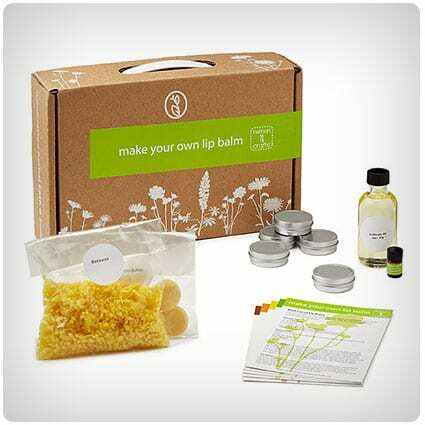 For plenty of kissing under the mistletoe this Christmas, give your girlfriend this DIY lip balm set full of gorgeous natural ingredients such as cocoa butter, beeswax and peppermint essential oil to keep lips super soft and prettily puckered. And with enough ingredients to make five tins, the kisses will last longer than the mistletoe! The Kindle Paperwhite E-reader makes electronic books even easier to read than before. The 300 ppi makes for a higher resolution display, and the built-in light means you can read any time of the day or night, with no glare from the sunlight or overhead lighting. A great gift for a bookworm who moves with the times. Keep your girlfriend safe when she’s out running with a pair of Night Runner Headlights. These clip on lights might be small but don’t let that fool you – they’re powerful enough to light the way ahead, while the rear-facing tail lights signal the runner’s position to traffic behind them. These home grown bath treats combine luxurious shea butter with essential oils, beeswax, and goat’s milk for an at-home spa experience to leave your girlfriend relaxed, pampered, and soothed. Set includes bath milk, bath truffle, whipped shea crème and lip balm for a gorgeous top to toe experience. For a gift that really bowls her over, Elwood the Unicorn is hard to beat. Perfect for soup, cereal, ice-cream, or even movie-time snacks, Elwood is a must for girls who still believe in magic. So quit horsing around and get this gift under the tree today! This ingenious gift is a must for anyone who travels frequently. Planes, trains and automobiles are notoriously uncomfortable to sleep in, but this warm, soft infinity scarf hides a secret – unzip the pocket and with a few puffs of air a travel pillow appears on which to lay your head. Is your girlfriend a gaming geek? 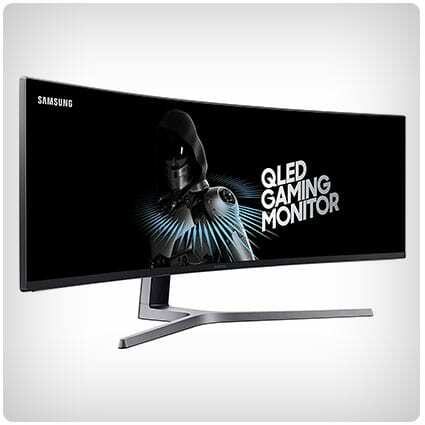 If so then why not treat her (and yourself) to this impressive Curved 49-Inch Gaming Monitor from Samsung? Lights are brighter, and colors are, well, more colorful thanks to the HDR technology, while the curved design allows gamers to immerse themselves in the action completely. The Fitbit Ionic Smartwatch is the personal trainer you don’t need to be jealous of! The wristband can store and play over 300 songs, use GPS to track pace, routes and distance, and even allows you to make payments on the go thanks to the built-in NFC chip. Let the iRobot take the strain of vacuuming the house every day, leaving more time for more interesting things. 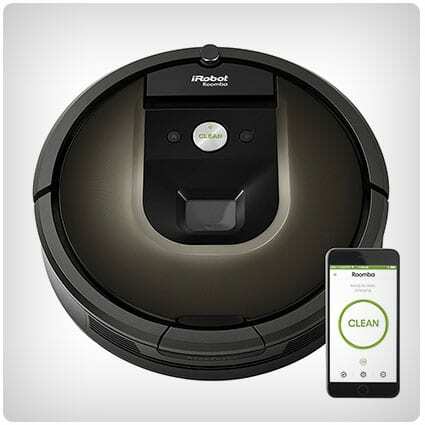 The iRobot will vacuum the house, either via a smartphone or Alexa, or at the touch of a button and once the 120 minute charge has been spent will automatically recharge and continue the job. Reminiscent of the heady days of live gigs, the Marshall Bluetooth Portable Speaker is an iconic version of the amps so loved by music aficionados. This rechargeable speaker will give up to 20 hours uninterrupted sounds before needing a new charge, and weighing less than 7bs it’s a lightweight box with heavyweight capabilities. The 5: Life Playbook is a must have gift for anyone who wants clarity on the way his or her life is heading. With quotes to spark ideas, and a roadmap for life itself, this book will take the next five years and turn them into a life less ordinary – if you let it. “Hello…hello…hello…” Echoes, love ‘em or hate ‘em they’re here to stay, and getting more stylish by the moment. The all new Echo now comes in several fabrics and veneers, but with the same great functionality such as playing music, or asking Alexa to check the weather or whether you should go out at all! If you would like to give sweets for your sweet girlfriend this Christmas, this cookbook by Christina Tosi shares all the secrets of the Momofuku Milk Bar’s legendary desserts. From crack pie to compost cookies, these sweet treats can be recreated by wannabe dessert chefs in the comfort of their own homes. Organic gardening is something a lot of us would love to do, but don’t have the space to do it in. This book shows that anyone can join in, in even the smallest of spaces, and grow healthy, pesticide-free veggies literally on their doorstep. A Christmas gift for year-long health. For instant photographs with a soft focus touch, The Lomography Instant Camera really delivers. Reminiscent of cameras from a by-gone age, this model creates beautiful images with gorgeous vignettes on the edges, instantly. With two shutter speeds, stunning prints can be made under any lighting conditions. The picture perfect gift for any girlfriend this Christmas. The Legend of Zelda has been a favorite with gamers for over 30 years, and this beautiful book is a gift for any fan of the warrior princess. The hardcover contains the official chronology of games, along with never before seen artwork and a full history of the Kingdom of Hyrule. For power on the go, this Smartphone Charging Wristlet will ensure discreet charging of a phone without the need for a power outlet. To all intents and purposes it’s simply a purse, while inside, the rechargeable battery and USB power cord stay hidden away, giving both the user and loved ones peace of mind. Do you love a girl who loves the rain? She’ll love you back if she finds this gorgeous umbrella under her tree this Christmas! The whimsical heart shape and bright red color will brighten even the dullest of days, while the frame will withstand the windiest of days. Romantic dinners at the table are all well and good, but sometimes only eating on the couch will do. Holding a bowl full of goodies isn’t always the most comfortable, though, so why not treat yourself and your girlfriend to a pair of couch bowls – with indents for fingers and thumbs, for maximum couch potato comfort. Does your girlfriend find mythical creatures just a little bit uni-corny? This adult coloring book will add to her tongue-in-cheek attitude with irreverent images of unicorns doing the most un-magical things, such as farting in elevators and texting when they shouldn’t, proving that while your girlfriend belongs on a pedestal, a unicorn really doesn’t. Cell phones have become an integral part of our lives, so it makes sense to have a wallet which will hold money, cards and a cell. 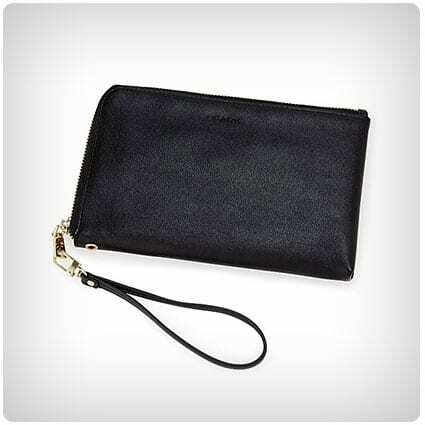 This fossil wallet does just that! It makes the ideal gift for girls who want to grab n go, and the special lining will prevent fraudsters from scanning any chips. 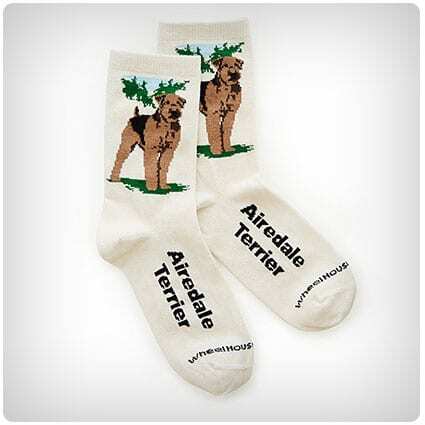 Let your feet do the walking and the talking with these super cute socks, displaying your favorite dog breed’s picture and name. They make ideal stocking stuffers for girlfriends who love their pooches, or moms who love their mutts, and are so adorable that people will paws to take a look. Your girlfriend will love these adorable dog breed ugly Christmas sweaters! 30+ dog breeds available. Tell your girlfriend just where to stick it with the All New Fire TV! Simply plug into an HDTV and choose from over 500,000 movies and shows. The Fire is compatible with Alexa, meaning you can simply ask her to find a particular genre of movie and she will present you with a whole selection. You can go your own way with this GPS enabled Fitbit watch, which will do almost everything for you apart from actually run! This incredible watch will map routes, check heart rate (no need for external strap), and track all your fitness activities for optimum training. A great gift for a New Year’s resolution. If you have someone on your secret Santa list who can be a tad neurotic, this pad is for them! In a world where we all consult Dr. Google, this pad allows anyone to be their own physician and diagnose their own problems, and more importantly pinpoint who’s to blame for their ills! Map out a special occasion with this unusual set of four coasters, made from tumbled marble and displaying a detailed map of somewhere significant, maybe your first home together, where he proposed, or where you had your first date. The bottom left coaster of the map set can be personalized with a custom message and address. It’s not much of 0-strich to see why these planters make great gifts! Each bird is made from salvaged metal parts, such as nuts and bolts, by Kenyan artisans and fashioned into an elegant ostrich in which to plant either indoor or outdoor plants, which make up the ‘feathers’ of the bird. Do you have someone on your gift list who is never without a tool in their hand? If so, this tool bottle opener is just the job! Made of cast iron, these bottle openers are made to look and feel like a wrench or hammer, because we all know, all that DIY is thirsty work! These adorable bookends make a beautiful gift for any lover of literature who also understands the love between a mother and child. No matter how many books this mama giraffe has to go through, she will always reach her baby in this touching tribute to true love. This Birthstone Wishing Ball from Uncommon Goods keeps wishes between us and the Universe. Each stunning ball is made from hand blown glass in the color of your birthstone, and comes with 52 tiny strips of paper on which to write a wish a week and slip inside, never to be read again, because wishes are private. So you want your relationship to go places? Well, unwrap this book on Christmas morning and both you and your girlfriend can plan a lifetime’s worth of destinations to the world’s most incredible places. 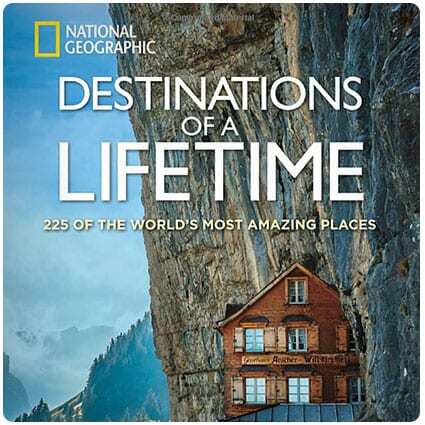 This hardback will tell you where to go, where to stay, and where to eat, accompanied by breath-taking National Geographic photography. 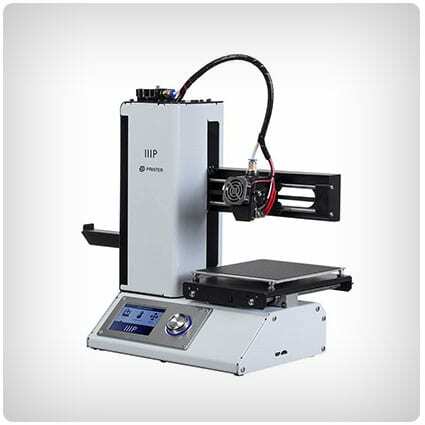 Unlike most 3D printers, this one from Monoprice comes fully assembled, so you can get printing straightaway. Compatible with any kind of filament, this compact desktop model will produce stunning 3D models of, well, pretty much anything you download. Factory calibrated so ready to go, and compatible with PC and Mac. Green tea is renowned for its health-giving properties, so why not treat your girlfriend to this gift set which includes four different high-quality teas from Japan? Unlike many health foods, green tea actually tastes good, and if it was good enough for Chinese Emperor Chien Lung, that’s all the proof you need. Home can be anywhere, as long as you’re together. This gorgeous Rachel Kroh print depicts a cozy tent for two, with two pairs of hiking boots outside, proving that home is indeed where the heart is. Give this to your loved one on Christmas morning to let her know how you feel. Now you can carry the incredible healing power of essential oils wherever you go, with this beautiful diffuser bracelet. Simply choose your favorite oil, sprinkle it onto the porous lava stones, and allow the healing oils to work their magic on your senses. A wonderfully calming gift for girlfriends, wives, or moms. The Kate Spade Cat Eye sunglasses are just purr-fect for girls who love their labels but not the price tags. These gorgeous shades come in a variety of frame/lens combinations for a truly personalized look, while the Kate Spade logo tells the world they have class. Just watch your girlfriend’s face when she opens this little beauty on Christmas morning. The beautiful Rose Gold SmartWatch from Michael Kors has a touch screen and both iOS and Android compatibility, meaning she’ll never miss a call from you again. The watch face is customizable, and will even track her steps and calorie usage! You really dough knead this Breadmaker in your home! This handy gadget will make a 2lb loaf in around 2 hours, and does all the hard work for you, leaving you free to do other things. The customizable settings will accommodate gluten free and organic recipes, making it suitable for all dietary needs. Keep the World Wide Web at your fingertips with the Acer Chromebook. Super slim, this little Chromebook will fit easily into a backpack or even a purse, and with around 9 hours battery life it will keep you connected all day, thanks to the ultra-fast 10 second boot-up and Intel Celeron Processor. While life might seem boring and arduous at times, it’s always worth remembering that excitement lurks around every corner. Remind your girlfriend of that fact with this adorable ‘Adventure Awaits’ silver-plated brass bracelet. Stamped in neat handwriting, it’s a constant affirmation that bigger and better things will come. Now you can say it AND spray it with Christian Dior’s J’Adore Eau De Parfume Spray. This light, floral fragrance is the epitome of romance, and not just because of the name. The rose and jasmine notes are light yet powerful, making this truly a gift of love. Meh-ke this a Christmas to remember with this ‘Meh’ mug that says it all with just one word. The perfect stocking stuffer for a girlfriend or boyfriend (or indifferent teenager) who uses the word frequently. Why use many words, when just this one little one will do? Bang and Olufsen and synonymous with quality sounds, and now you can take that sound with you wherever you go. This wireless Bluetooth speaker is fully portable, gives up to 24 hours of great bass before needing a charge, and can remember up to 8 users. It’s a sound investment this Christmas. This is definitely a tablet that won’t be hard to swallow! With an 8 inch display, 16 GB Flash Memory and 1.5 GB RAM Memory, you can watch videos, look at photos, and even sync your device to your TV! And with Microsoft Office included, you can work on the go, too. This One Time, I…is a hilarious game to play with friends and (adult) family members at Christmas, or any time you need to have a laugh! Find out who among you has the most outrageous stories from the card-prompts, but be warned – it might make you see your mom or dad in a different light! Each of the seven chakras is represented in this gorgeous and colorful bracelet with gemstones, and brass beads which are made by women in Kenya. The handmade bangle is colorful enough to be worn alone, or layered up with others to create an eclectic and vibrant look. This Boba Fett floral helmet isn’t a patch on the original, as the iconic helmet has been prettified with gorgeous blues and reds to make a badge Fett for a Queen! This patch makes an ideal gift for any Star Wars-loving girlfriend, and can be sewn or ironed on. This high performance laptop/tablet hybrid comes with a detachable 13.5 inch screen and Surface Pen, 16GB of RAM, 2.6 GHz Intel Core i7-6600U, and Windows 10 Pro. Whether you need the power of a laptop or the flexibility of a tablet, this incredible hybrid delivers every time. Now ears a gift for any girlfriend who loves to sparkle at Christmas. These beautiful cushion-cut Swarovski crystals will complement any lady’s outfit, whether dressing up or dressing down, and add more than a touch of elegance whatever the occasion. Classy earrings for a classy lady. The best things come in small packages, but just because your girlfriend might be tiny doesn’t mean she won’t pack a punch. Slip this pin into her Christmas stocking so she can wear it with pride, letting everyone know that size really isn’t everything. A box set for those who love indie films. Robert Redford founded the Sundance Institute to promote independent movies, and this collection brings together 10 of the best the industry has ever seen. From ‘Real Women Have Curves’ to ‘Boys Don’t Cry’ this set is a must for movie buffs who don’t always follow the hype. 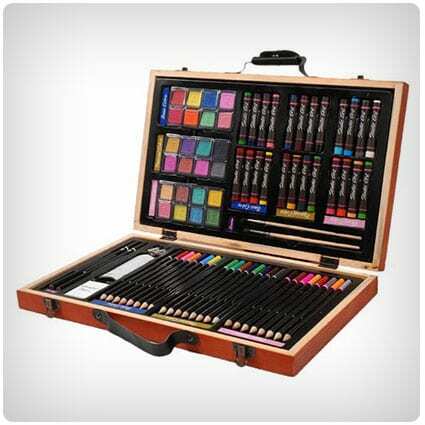 This kit includes everything you need to create a one-of-a-kind piece of artwork that is truly intimate. Complete with paint, plastic sheeting, and canvas. ‘No brushes?’ we hear you cry. No, you don’t need them, but there IS a body scrubber to remove the non-toxic paint from each other’s skin – now do you get the picture? For the eco-conscious skater girl in your life, this Arbor Axis 40″ Cruiser Longboard Complete is the perfect board, whether she is new to the sport or wheely good at it. The wood comes from a sustainable source, and even the sealant is eco-friendly, meaning this deck won’t cost the earth. Make pool parties much more fun with a giant inflatable donut. Over 4ft long, this ring is so good it’s already had a bite taken out of it. Strong and durable, it’s big enough to lie in or sit on, while the tear resistant plastic means it will last for many pool parties to come. Any iPad, iPhone or Mac can become a guitar with the JamStick. Now anyone can learn to play, using real strings, real frets and real picking without the need for a full-sized guitar. Unlike a real guitar, the JamStick never needs tuning, and the rechargeable battery will last a lot longer than your performance! Home grown herbs taste great, and with this GrowBottle it couldn’t be easier. The re-purposed wine bottle allows sunlight to filter through, providing optimum growing conditions for whichever herb you choose. A thoughtful gift for anyone who enjoys gardening without the garden. Gift buying needn’t be difficult – and this adorable mug proves it. What girlfriend wouldn’t love to drink from Llana the Llama, the colorful cup which makes coffee, cocoa or tea taste even better! Llana’s cute smiling face will brighten even the dullest day – it’s like getting a hug in a mug! Show a woman in your life that you acknowledge her achievements, with a necklace that symbolizes the glass ceiling that women fight to smash. This pendant contains pieces of broken glass encased within two solid panes, and hangs on a 24” sterling silver chain. An empowering gift at Christmas or any time of year. Reach for the moon and fall among the stars with this aromatic set of nine Solar System Bath Bombs. The eight planets plus the sun contain natural ingredients such as sandalwood, saffron, and mica and when added to the tub release Heavenly scents to pamper and relax. Cowabunga! This Teenage Mutant Ninja Turtles Pizza Cookbook contains recipes for old favorites like New York Style Pepperoni, and new-fangled TMNT concoctions, such as the Lean, Mean, and Green, Shredder’s Revenge, and the Sewer Surfer. A turtley awesome gift for any girlfriend who loves pizzas and half-shell heroes. Mix up your gift-giving this year with a set of Simple Syrups from Leah Monaghan and Barb Stauffer. These small-batch syrups add an interesting twist to both mocktails and cocktails, in enticing flavors like Pear Rosemary, Cucumber Habanero, and Grapefruit Basil. It’s a set which will really shake up the party this Christmas. Cute and vibrant – does that remind you of anyone? This Juniper Bonsai tree brings a little bit of the outdoors in, without taking up much room. The Juniper is a hardy conifer, and will flourish with a little bit of care and attention – just like a girlfriend. If someone has simply put ‘labels’ at the top of her wish list for Christmas this year, try this. The DYMO Label Maker connects to a smartphone or tablet and prints whatever you ask it to. Fonts, borders, and styles can all be customized to create unique labels for the super-organized, or those who need to be. Simple is often the most beautiful, and this gorgeous bangle epitomizes simplicity. The stunning silver plated brass feather sits on the delicate silver bangle, creating a timeless piece of jewelry which will complement any outfit or occasion. A beautiful addition to any special girl’s collection. Buying Christmas gifts needn’t be a mug’s game if you choose one of these striking Healing Stone Mugs. Each one has been infused with health giving minerals during the firing process, and the handle of every mug has one of four healing ‘worry’ stones attached, to focus the mind and bring healing energies. Cell phone cameras have come on in leaps and bounds, but it can still be a struggle capturing everything, especially in a group setting, or a scenic shot. This clip-on 2-in-1 lens solves that problem by providing both wide-angle and Macro Lens capabilities for DSLR quality shots from your phone. Give your globetrotting girlfriend this modern take on an old-ish classic. Traditionally, travels were marked on a corkboard, but this globe puts a new spin on things. Made of cork, the world can be seen in all its spherical glory while the push pins can be used to mark places visited, or those yet to see. Kaleidoscopes bring us back to childhood, and now these memories have been captured in a stunning piece of jewelry anyone would love. The tiny silver pendant is a functioning kaleidoscope, made possible with tiny grains of sea glass and recycled glass, forming wonderful patterns, suspended on a 24” sterling silver chain. Give your girlfriend permission to play with her food by giving her this Molecular Gastronomy Kit this Christmas. Channel her inner Heston Blumenthal by turning her kitchen into a food lab, and be a willing taste tester as she changes the structure of your favorite foods. Be someone’s HERO this Christmas with the GoPro HERO6. This little camera automatically sends your recorded material to your phone, where the app takes over and transforms the footage into a QuikStory – edited and ready to watch. With voice control and a waterproof design, this is the one the pros go for. Much classier than an old brown paper bag, this colorful tote is a much classier way to bring your booze with you. Designed to hold a boxed wine bag, this tote keeps your drink cool and easily dispensed via the attached spout, and no-one will be any the wiser. Sometimes it can be tough for a guy to tell his girlfriend how he feels. This book makes a beautiful gift to keep and treasure, and makes being soppy easy! Each of the 50 pages contains prompts to fill in, such as ‘I love how you…’ A wonderfully sentimental book that she will cherish. There’s no place like home, and with the Nest Learning Thermostat your home can be warm and cozy right on schedule. Programmable with Google Home and Amazon Alexa, Nest remembers the settings you like and sets them itself within a week, and the Farsight technology means it lights up when it sees you enter the room. Get your girlfriend’s face glowing this Christmas with the gift of clearer skin. The Pure Spin Facial Cleansing Brush gently exfoliates the face and removes dirt, oil, and dead skin, while the super soft bristles deliver a gentle massage to improve blood flow. Let a loved one know you’re thinking of them, even when you’re apart. 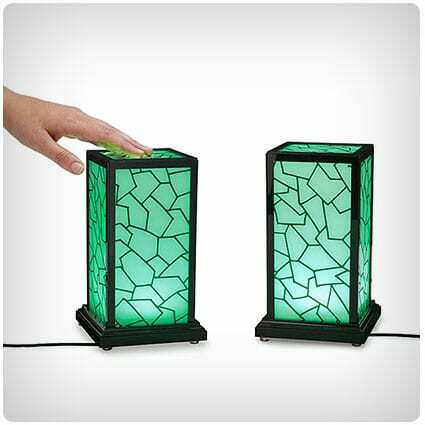 The Long Distance Touch Lamps are synched via Wi-Fi, and whenever you turn your lamp on with a simple touch of the hand, your loved one’s lamp emits a twin glow, letting missed friends know they’re the light of your life. Stand out from the crowd with this set of two brightly colored luggage labels. Each tag is colorful, distinctive, and fun on one side, and has space for ID details on the other, along with a business card. 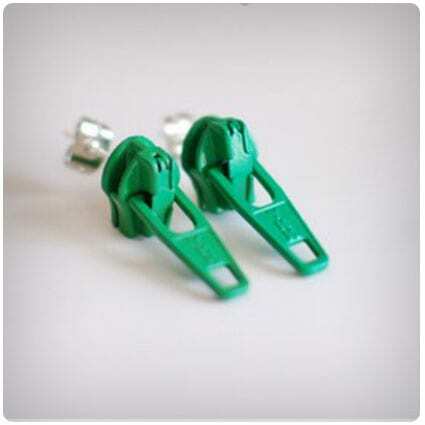 Made from 100% PVC for durability and strength. What makes any dog breed unique? This unusual blueprint comes framed, and contains details of all those breed-specific attributes which make your dog who he is. With dozens of breeds to choose from, this is a beautiful gift for the dog lover on your Christmas list. Whether your girlfriend takes her fitness seriously or just dabbles, this Fitbit wristband makes an ideal gym buddy. With an integrated heart-rate monitor and sleep tracker, this wristband can also notify her of calls, texts and engagements, and monitor her fitness activities throughout the day. Our busy lives can play havoc with our skin, and combined with often harsh winter weather we need something to protect and nourish the skin we’re in. Treat someone special to the gift of pampered skin with this set of five ICELAND products, to moisturize, rejuvenate, cleanse and clear. Rock the season with these Orbits Eye Stones, made from Finnish bedrock which dates back billions of years. Simply chill them in the refrigerator and apply them to the eyes to refresh them after a long day at the computer or a late night out. A quirky but effective stocking stuffer for anyone. For a handmade gift that wasn’t handmade by you, you could do a lot worse than this string art heart block. Made on up-cycled wood, and with the heart made from string, this is an eco-friendly love token that will delight any girlfriend this Christmas. What’s a girl to do when she fancies a tipple but can’t finish the whole bottle? These Birthstone Wine Stoppers are handmade by heating the glass to 2,000 degrees before adding in colored glass, and forming into a globe which sits nicely into the neck of the bottle, keeping the contents fresh for the next time. Nothing says ‘I love you’ quite like roses, and this gorgeous bouquet says it 24 times! With 12 hot pink and 12 light pink buds, these blooms will arrive at your girlfriend’s door fresh in their clear glass vase, ready to be admired and loved. Say it with flowers this Christmas. Books make great gifts, and this one is no different, especially if someone on your gift list loves life’s random things. This funny book looks like a children’s book, but with an adult’s sense of humor, and ponders the weird and wonderful existential ‘thoughts’ that people, animals, and creatures might well be having. Fish are lovely pets to have, but let’s face it – fish tanks can be a little boring. 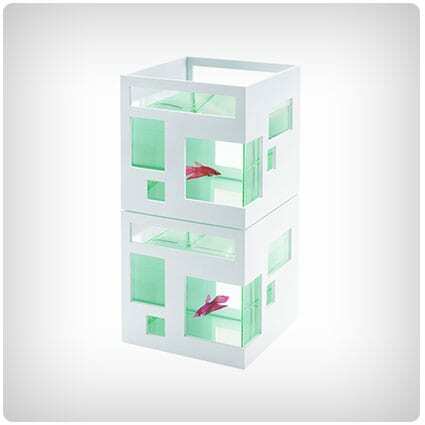 The Umbra Fish Hotel is strikingly different and minimalist, and the removable exterior can even be painted to suit the décor. Buy more than one and stack them for an apartment/condo like vibe. Each of the seven Chakras in the body represents a specific seat of energy, according to many ancient beliefs. Pay homage to each one with this set of seven bath salts, each one dedicated to a particular Chakra, to soothe, heal, and focus, while the shea butter softens the skin. The Echo Dot is the personal assistant you never knew your girlfriend needed. The voice-controlled hands-free device uses Alexa to do those all-important jobs like calling friends, playing music, sending messages and controlling smart home devices. And with seven far-field microphones, it will hear any command, no matter how noisy the room is. ‘What do you Meme?’ is an adult’s only game which gives players the opportunity to create the most fitting phrase to the photo card in play. With 360 caption cards, and 75 photo cards, the possibilities for irreverent fun are endless. Not for the easily offended! Imagine how much more fun boring dates, exams, or work meetings would be with this wine rack bra! Fill the custom built ‘cups’ with your favorite tipple and sip your poison through the drinking tube while no-one’s looking. A fun gift for girlfriends, sisters, or even moms! For any feline loving friend who is difficult to buy for at Christmas, these cat-themed tongs are a great addition to the ‘catchen’. Whether they are used for noodles, ice, or salad, these 7 inch utensils make light work of picking up tricky foodstuffs. Fun and functional, what more do you need? Cinderella, aka your girlfriend, most definitely will go to the ball in these beautiful Kate Spade dress pumps. The gloriously shimmery metallic uppers, peep-toe front and cute as a button bow on these stilettoes make them fit for a princess – the perfect gift for your sole-mate this Christmas. Who doesn’t love Pusheen? The internet’s favorite, if slightly odd looking cat, features on this cute and sturdy backpack, ideal for school, college, work or the gym. With adjustable, padded straps for extra comfort, and a roomy exterior, any girlfriend will be feline great with this little cutie on her back. Don’t get left ‘behind’ in the stocking stuffer stakes this year. This set of six magnets features the butts of half a dozen safari animals, to stick on to refrigerators, lockers, or any other metal surface. Ideal for holding photos, notes, or just because they look rear-ly nice. Any stargazing sweetheart will love this set of mismatched earrings, featuring one moon and one sun. Gilded in 22-karat gold, and with hypoallergenic posts, they are suitable for even the most delicate of ears. When she asks you how you picked such a perfect gift, just tell her you didn’t planet that way. Your girl appreciates the finer things in life. You know this because she’s chosen to be with you, so gifts you choose for her are a reflection of your own awesomeness. We suggest the high-quality Barista Express Espresso Machine from Breville. Your relationship is more than better coffee, but it’s a nice place to start. So you’re looking for a really great camera for a really great girlfriend. The Canon EOS 70D Digital SLR camera is an excellent choice for capturing life’s precious moments and everyday events. It’s ideal for the serious amateur photographer yet sophisticated enough for the serious artist. Give her a gift that makes time stand still. Water is basic to life, but it doesn’t have to be boring. Choose the Sleek Sparkling Water Carbonator and your best girl will have fresh fizzy water at her fingertips anytime she wishes. A reusable bottle is included to eliminate the need for single-use plastic bottles. This gift is more than thoughtful, it’s eco-friendly, too. We’re bombarded with chemicals every day, so when we find a natural option to replace a multi-syllabic chemistry equation, we’re bound to check it out. This thoughtful gift, created by a conscientious mom, combines a traditional Gua Sha exfoliating stone with an organic facial serum designed to enhance a more natural daily skincare routine. When the weather begins to turn chilly and wet, you’ll want to keep your sweet lady’s little piggies toasty warm. Enter the UGG boot. 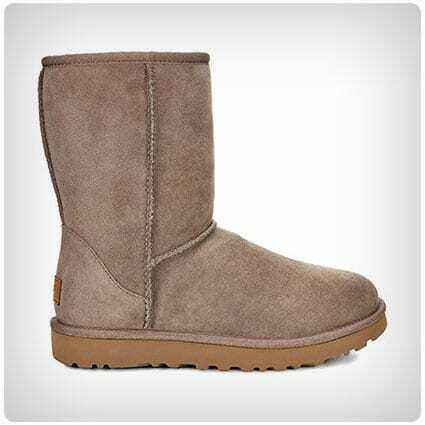 Designed for warmth and comfort, with cozy sheepskin and wool, these boots are like tender hugs for her feet and ankles. Because even an independent woman wants to feel cared for. Busy women like to keep in touch and they want their tunes. The JBL Charge 3 waterproof Bluetooth portable speaker is just the ticket. So many scenarios beg for enhanced sound: she can jam her playlist for an awesome workout, or put your voice on speaker while her hands are busy creating a special dinner. The modern woman wears many hats and has a long list of accomplishments. Yet sometimes unwinding at the end of a busy day seems like a myth. You’re a considerate boyfriend, so you know this beautiful Sleep Comes Easy set, crafted with relaxing essential oils, will soothe her to get a good night’s rest. Chill Sack is a fun bean bag chair that’s a giant five feet. The memory foam makes it a comfy place to read, watch TV, or play video games, and the oversized size makes it cozy enough to share. It invites a playful attitude whether it goes in the den, the bedroom, or dorm room. Logitech Harmony Ultimate All-in-One remote control puts the power in her hands. She can control the television, the gaming console, even access entertainment apps from the unit with a customizable touchscreen or her smartphone. It even works through cabinets or walls to maintain the aesthetics without cluttering up the media center with boxes or cords. Sleep is an often overlooked component of good health. Too many of us don’t get enough and what we get may not be restful in quality. 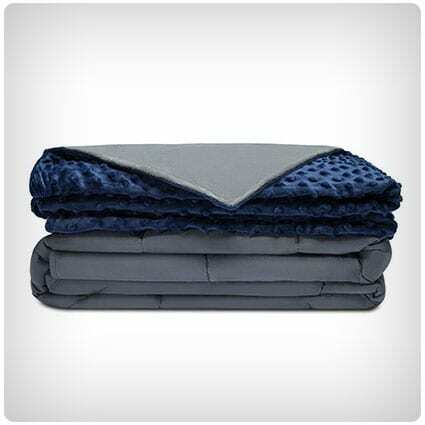 The Quility weighted blanket makes a thoughtful gift when you care about her well-being. Every night she’ll think about how considerate you are as she drifts off to dream. 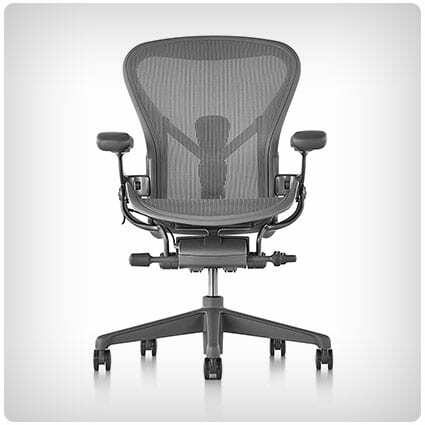 The Cadillac of caster chairs, with every ergonomic feature known to man, the Herman Miller Aeron Chair is designed for comfort and performance, with a generous side of style to complement any home or corporate office setting. If your girl spends a significant portion of her workday seated, this is a gift for the ages. They say diamonds are a girl’s best friend, but the shape that concerns most ladies is keeping their hourglass figure. Enter the Schwinn 470 Elliptical Machine with the most options for the best workout, multiple challenge levels, and free downloadable apps to keep track of fitness goals and socially interact with others in real time. Out of millions of women, your girlfriend stands out as one-of-a-kind. Let her know you appreciate her uniqueness with this stunning handcrafted necklace. A lovely string of gems lie along a golden strand with a single stand-out stone, it’s brilliance emphasized by the uniformity of the others, telling her you think she outshines everyone else. Nothing says “I love you” as nicely as a home-cooked meal. People have busy schedules and don’t have hours to spend working over a hot stove. The Instant Pot multi-use programmable cooker offers loads of time-saving functions so that you or your girl can serve delicious food without giving up nutrition or expending valuable time. The PUREWAVE CM-07 massager is just the ticket for relieving tension after a long day hunched over a keyboard or console, to manage chronic pain, or for those instances when a change in workout results in sore muscles. It’s a great gift and the next best thing to a professional massage. Available without an appointment. Homemade gifts can be a bit hit and miss, but these jersey knit bracelets are definitely a hit. Simple to make and gorgeous to wear, they can be made from store bought jersey knit fabric or even on old favorite t-shirt that your girlfriend always loved to make them even more personal. Take a couple of plain tumblers and turn them into something any girlfriend will treasure, with this easy to follow tutorial. The step by step guide shows you how to make unique frosted glassware that will be all the more special because you made them yourself. A very glassy gift. Jewelry is always a failsafe gift for girls at Christmas, and this DIY version is no exception. With just a few craft items you can produce a gorgeous necklace that looks great, and the Fimo polymer clay that is used here even has flecks of glitter for just the right amount of sparkle. Take one boring scarf, add some statement buttons, and hey presto! you end up with a bang up to date infinity scarf that requires absolutely no sewing whatsoever. Your girlfriend will love that you added your own personal touch to turn the ordinary into the extraordinary. If you have someone on your gift list that has a secret inner punk-rocker, these super easy and fun earrings might be just the thing. In fact they’re so simple you could make a different colored pair for every day of the week, and give someone a whole set! Cold hands might equal a warm heart, but you will warm her heart even more by making these adorable hand-warmers to keep her feeling snug in the winter. The rice inside the bags is re-heatable, making these the gift that keeps on giving. Perfect for when you can’t be there to warm her hands yourself. It’s Christmas Eve and you’ve forgotten to buy your girlfriend a gift. Oh the horror! Don’t panic, just grab an old t-shirt, a pair of scissors, and make this very happening multi-strand scarf that actually looks really cool. The ideal accessory for casual days, Yule definitely be in her good books! If you have a keen photographer on your gift list this Christmas, make their life a bit more comfortable with this DIY camera strap cover. It’s simple to make, and will make those long photo shoots a lot more bearable and their camera a lot more wearable. Body scrubs are especially useful in the harsh winter months as the cold weather and indoor heating take their toll on the skin. Make someone special this home-made Coffee Sugar Scrub, add in their favorite flavored coffee to make it really personal, and present it in a pretty jar for an awesome gift they will love. This tutorial is ‘soap’ easy you’ll be making it for everyone! With just two ingredients you can turn an ordinary bar of soap into gorgeous, silky-smooth liquid soap to complement the bathroom of anyone on your gift list. For added Brownie points, make your own Mason Jar dispenser, too. These DIY clipboards and glitter clips make gorgeous gifts, and can be used in so many different ways – as an unusual photo ‘frame’, or somewhere to hang recipes, or even as a notice board. 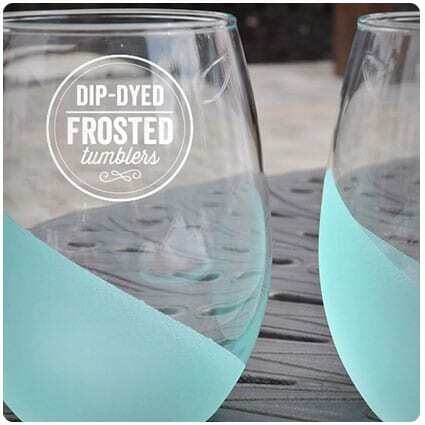 Choose the paint and glitter in a favorite color and away you go, a fun DIY for an awesome gift. Whether you are doing Christmas on a budget, or you just want to give home-made gifts, this DIY tutorial is super easy and fun. With just a few jar lids, some Mod Podge, and several magnets you can produce a set of photo magnets anyone will love to have. These ‘Girls’ Weekend in a Jar’ gifts require very little DIYing, but make useful, cute gifts for anyone who might be looking forward to a hen weekend, road trip, or sleepover with the girls. With a few well-chosen items and some pretty fabric, Mason Jars can be turned into thoughtful gifts for any occasion. Do you know a bookworm who is always losing their place? How about making button bookmarks to keep them on track? Super easy to make, all you need are large paper clips, glue, buttons and felt, and in no time at all you will have a whole set to gift to someone special. Epsom salts are incredibly therapeutic. They detox the system, ease pain, and soothe aching muscles. By mixing them with sea salt and essential oils, you can make a set of bath salts with different properties, and give someone the gift of relaxation this Christmas. Top labels are all well and good, but nothing can beat a bespoke, one of a kind, original you! Envelope clutches are really simple to make, and with so many different pleather fabrics available you could make one to match any outfit or occasion, big enough for a laptop, or small enough for a cell. Personalize these DIY scrabble coasters to suit any theme. Choose four 4-letter words, and glue the lettered tiles to cork board before trimming to size and finishing with a sealer. You could choose drinks, foods, names, or occasions – the only limit is your imagination. With a little bit of DIY know-how, you could be giving this stunning jewelry organizer to someone special this Christmas. Using wood, decorative metal sheeting, and a few tools, this organizer will make short work of keeping a jewelry-lover’s stash safe and untangled, while displaying them beautifully. A girl can never have too much glitter, which is why this fun tutorial is so cool! Bezels can be purchased for next to nothing, and, armed with a bottle of Mod Podge, you can go crazy with the glitter to produce a statement necklace for a gift that really shines. Everyone loves a house that smells great, and these simmering fragrances make a nice little gift that anyone can pop in a pan and heat up at home. Match ingredients to the season, pop them in a jar, wrap a ribbon around it and there you have it – gorgeous home-made scents. Yoga is a wonderful activity which suits just about anybody, but the one thing they all have in common is the need for a yoga mat. Why not make the yogi in your life their very own yoga mat? Match the fabric to their personality for instant Calm-er. IPads, laptops, phones…they all need protecting, which is where this simple DIY tutorial comes in. Make someone a case for their gadget out of super soft felt in their favorite color, add contrasting thread and buttons, and their electronics will be safely cocooned. A super simple and cute gift idea. Jars are one of the home-made gifter’s best friends, because of their versatility – they can be filled with literally anything, and customized to suit both the recipient and the occasion. Fill with candy, cosmetics, or coffees and chocolates, the choice is yours. This tutorial gives you plenty of ideas for everyone. Help someone put their best foot (or feet) forward this Christmas with a Pedicure in a Jar. Simply take a wide-mouthed jar and fill it with foot-friendly goodies such as foot balm, nail polish, emery boards and whatever else you can think of to top off those tootsies. Boot Socks can really make or break an outfit, and put the finishing touch to a pair of boots. This no-sew tutorial shows you how you can make a pair of DIY Boot Socks from an old sweater, before adding your own individual touches for added flair. This DIY project is SO much fun, and there are so many possibilities! In fact the hardest part of these Mason Jar Snow Globes will be choosing what to put in them. A Santa? A Christmas Tree? Or maybe a Snowman? There really is snow end to what you can do! These mugs take chalkboard projects to a whole other level and make great gifts either on their own or as a set of two or more. Grab some porcelain chalkboard paint and get to work, painting a surface you can write on! Tie a stick of chalk to the handle and they’re ready. We only share our best pics on social media, right? Why not take advantage of that, and use someone’s Instagram photos to put on coasters as a personalized gift for Christmas? All you need are plain tiles, printed photos and good old Mod Podge for a truly special gift. Memories are so precious, and are the one thing no-one can take away from us. 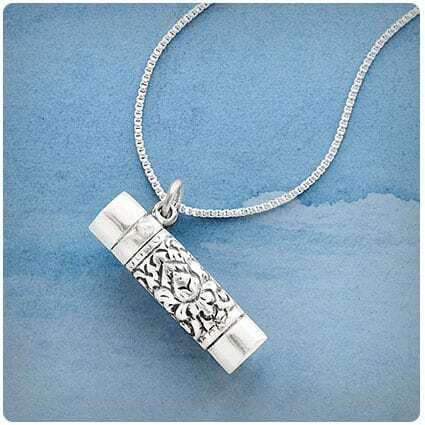 This Bottle of Memories is a wonderful way of showing someone close to you how much they are in your thoughts, by filling it with mini symbols of the times you’ve spent together. Wind Chimes are one of the most relaxing and evocative sounds you can hear, so bring the song of the ocean home with this DIY beach-themed wind chime. Using shells, sea glass and drift wood this project will also encourage positive energies, according to the ancient art of Feng Shui. Love manicures but don’t have the essentials? This personalized DIY gift basket will give women the accessories to do their own manicures. Fill the basket with these essentials: a nail file and brush, nail clippers, cuticle stick and slippers, nail polish, and soothing hand cream. Your friends will love this gift! 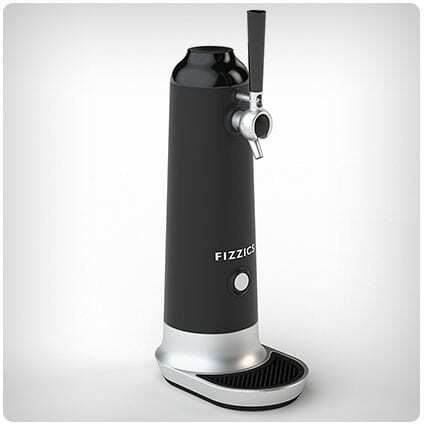 Fill a dispenser with fruits (oranges, lemons, line, cranberry) and your favorite wine bottle. Tie a ribbon around the lid with a wooden spoon accent for stirring. This spa gift basket will be a real treat for someone who really needs a spa day! Add clear mason jars with chocolates or spa salts, specialty hand and body creams, hand towelettes and one large bath towel, loofahs, and massage brushes to a simple wire basket. Follow the instructions and design your own “Pop” gift basket for someone who loves snacks that pop! Fill a basket with foods like Kellogg’s Corn Pops, Tootsie Pops, flavored popcorn, pop tarts, and some soda pop bottles. Wrap the basket with a large ribbon and a card. This gift basket of mocha mixes will wow your friends! DIY and buy the ingredients to make various mocha drinks with mix and match flavors. Fill up test tubes with different layers of the mixture, and affix a design label with the list of ingredients. This DIY Fall gift basket is a creative idea that will stun your friends. Follow the simple instructions and create this “Fall” cornucopia of goodies to offer for any special occasion. Include a packet of apple cider, caramel candies, a candied apple, pumpkin-spiced tea, and a personalized card. Do you have a friend who loves DIY projects? This gift basket will give them the essentials to create amazing gift tags for all their projects. Fill a metal bucket or a mason jar with colored string, glue, small cards, scrapbook colored papers, glitter pens, and stamps. For an original gift basket idea, follow the instructions for this DIY Hot Cocoa Mix Christmas ornament and amaze your friends and family! Get all the ingredients needed to make various cocoa drinks such as peppermint, white, and dark chocolate mixes, mini marshmallows, and colored candies, and create a little bit of heaven at Christmas! Discover a little bit of winter magic in a bar soap! Create your own peppermint candied bar soap and follow instructions using goat’s milk glycerin soap, a soap mold, red coloring, and peppermint oil. Design these cute handmade cookie gift baskets out of paper plates following these DIY instructions. All you need is paper plates, glue, colored string, and a personalized tag and, of course some delicious homemade cookies. Follow this blog’s instructions on how to make your own coffee gift basket. With a list of simple-to-find accessories and ingredients, you’ll create amazing gift baskets for your friends at Christmas. You can personalize your gift basket according to your friends’ likes. Coffee lovers and women friends will not forget this awesome gift! A woman’s hair is said to be her crowning glory, so top that crown with some DIY jewels befitting of a princess. With some sequins, stars and pretty stones you can turn an ordinary hair grip into a stunning accessory to slip into some lucky girl’s stocking. Make these bath bombs this Christmas and let someone be a mermaid for a day, or at least for a bathtime. Epsom salts are fab for the skin, while the essential oils will invigorate and refresh, as your own Ariel relaxes ‘under the sea’ in her own blue lagoon. Does your sweetheart have a sweet tooth? If she does this might just be the best gift she’ll ever have – and it’s home-made! Gather together a whole stash of her favorite candies, arm yourself with a glue gun and a Styrofoam round, and get busy! It’s the sweetest DIY ever! These mosaic stepping stones are a great idea if you’re looking for a garden gift this Christmas. Buy old plates from a thrift store and lay them into cement, along with glass beads and other decorative pieces using a cake tin as a mold, and once dry you will have a one-of-a-kind gift to wrap. Bangles bring out the belly dancer in all of us, so have a go at making some yourself with this easy to follow tutorial. Using wire and colorful beads you can make exotic and expensive looking bangles for a fraction of the price to adorn the wrist of someone special. Say ‘I love you’ with roses that will last for Christmas and beyond, using…coffee filters? These surprisingly effective blooms look beautifully delicate when finished, and will never lose their freshness or need their water changing! It’s a DIY gift that has bouquets of charm. A spoonful of glitter will definitely help the coffee go down when you make this glitter-dipped mug as a gift for someone this Christmas. Girlfriend, sister, or Mom, they will all love the super shimmery half n half effect as they sip their favorite beverage. There’s something so elegant and timeless about pearls, don’t you think? While they can look old-fashioned, this tutorial will show you how to make an up to date version of the pearl cluster necklace at a fraction of the price – perfect for proms or special date-nights. For the yogi in your life, this DIY yoga tote makes a really useful gift. With enough space inside for a towel, drink, and keys etc. it also has straps on the bottom to hold a rolled up yoga mat, while the straps are long enough to sling over the shoulder and go. Monograms have made their way into many homes lately – letters with glitter, buttons, and shells – but this DIY makes the monogram super feminine and pretty by using faux flowers to fill in the initial instead. Choose someone’s favorite blooms and colors, pop it in a frame, and voila! A personalized monogram for a special person. What do you make for someone who loves to carry their camera around, but without an ugly camera bag to carry it in? Simple, you make them this ingenious camera carrier insert. Easily swappable from purse to purse, it’s a much prettier way to keep all those lenses separate while still looking stylish. If you have basic sewing skills, you can whip up this zip-up pouch for your girlfriend’s favorite cards (credit, debit, gift, or business) in one convenient and stylish DIY wallet. She can change purses without worrying if she has the right cards, and every time she does it will remind her why she loves you. If the special lady in your life has a million things on her to-do list, then she’ll appreciate the thought, effort, and skill you put into this fabulous DIY On the Go Organizer. It’s truly a labor of love. Choose colors she loves and put them together in this project with a place for everything. So you’re growing confident in your sewing abilities and you want to make something fabulous for a special someone. This detailed DIY will take you from the cutting room to an elegant evening out when you make this adorable bow clutch. Follow the step-by-step directions for a project that looks like a professional created it. This zippered makeup bag is just right for carrying cosmetics for touch-ups after a busy day at work and before an evening out. With basic sewing skills, you can DIY this for your lovely lady friend. Include a couple of her favorite items for a nice gift or use it to conceal a special surprise. You don’t have to be a farmer or have a green thumb to appreciate giving growing things. This DIY tutorial gives you all the information you need to put together a cute little succulent terrarium. These bits of flora are soothing and delightful, which make them lovely gifts for the lovely ladies in your life.